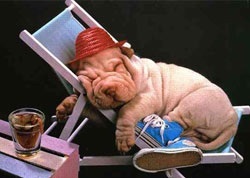 It’s half term….phew! Well I used to think that when I was a teacher in school. Although when my children were growing up it always felt like a busmans holiday, I’d still be surrounded by little ones demanding very minute of my time and who wanted entertaining. In truth, I loved those weeks where we could go and learn through visiting museums, walks and journeying to anywhere we could get to on a train. Have-railcard-will-travel. 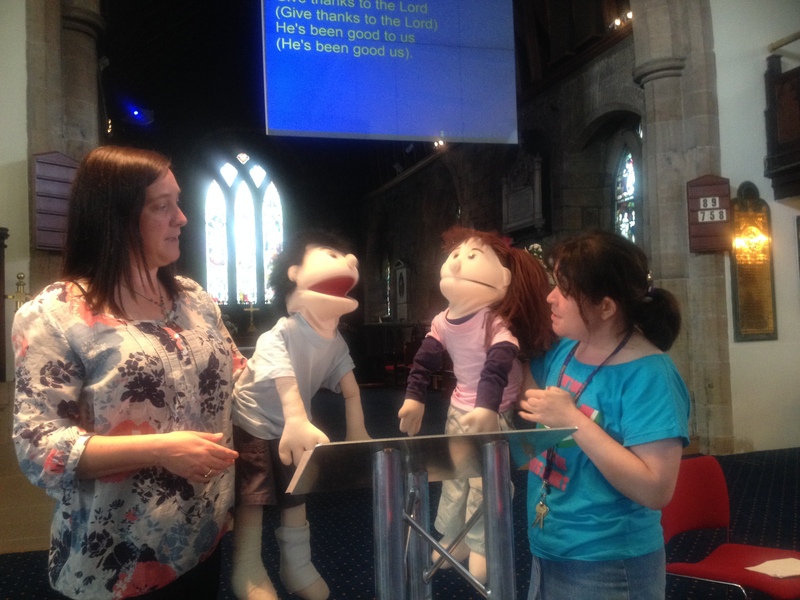 A break and time to be refreshed is why we keep to term times at the Good News Group. 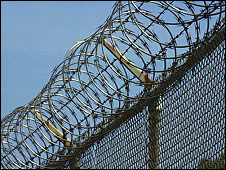 It may seem strange when none of our members go to schools any more, but we have found that the break does help us all. Some members do get a little anxious and need to know exactly how long it will be before the group starts again, that is easily dealt with. We give plenty of notice and visual or written reminders and each house gets a letter reminding them of the date we return. These measures may seem simple but are vital to our group, many of whom are cared for in community homes, with a rota of carers and everyone needs to know what is happening and when. Another reason we take a break is to look after the team of people who volunteer every week to support and teach at the Good News Group. The first week of each new term we have a team meeting and along with prayer, sharing a meal together and planning all the practical things that help the weekly meetings go so smoothly (well, usually they go smoothly!) we get to learn about our members and share how best to support them. This year our team asked if they could have some training about the different conditions that our members have. So, I have trawled through the people I know and found some that will talk to us for an hour. I started us off with a session about autism and the next session is about deafness. 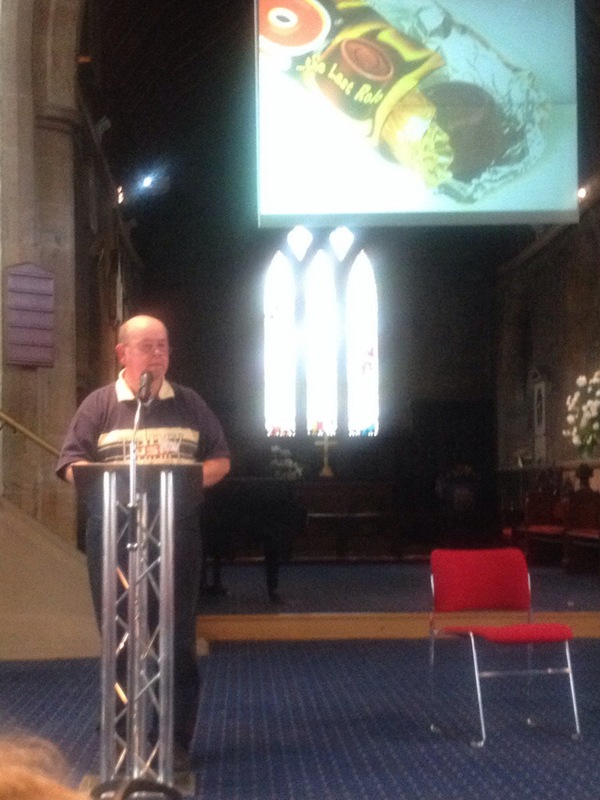 After that I have lined up talks about Down’s Syndrome and Cerebral Palsy. I am also talking to some of our members about their conditions and asking if they’d like to tell us about it. One or two have said they would but others have given permission for me to pass on what they have told me. I think that training is really important and helpful in any ministry with people with disabilities. I do believe in listening to the people who we are ministering with and learning about their abilities as well as their difficulties. It is also helpful to have a wider overview of a condition. We’ve had training in the past from http://www.prospects.org.uk which has been great and we highly recommend it. We are also looking at what we can access locally. This is a project I am starting, to build up a directory of people and organisations in our area that can offer training to church groups like ours. 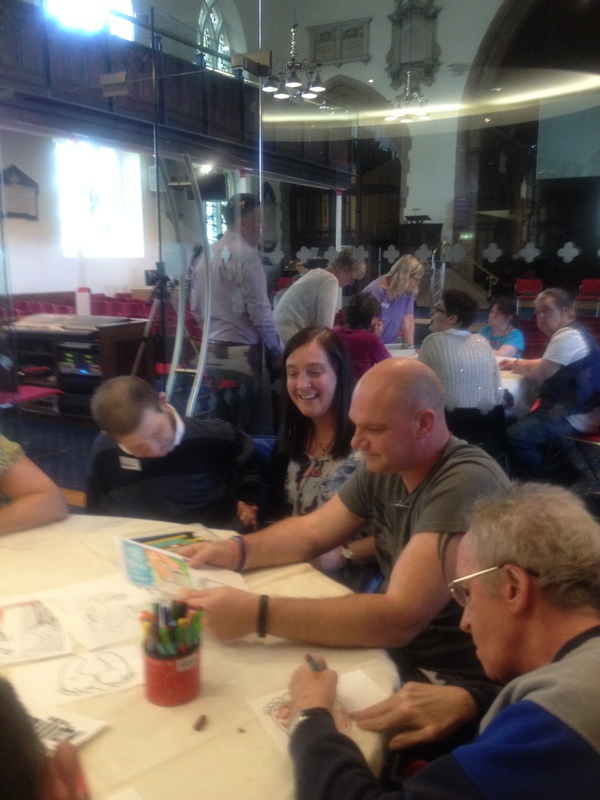 We are partnering with http://www.throughtheroof.org to set up a North West Disability Network to try and bring people involved in supporting people with disabilties and people who are disabled together. 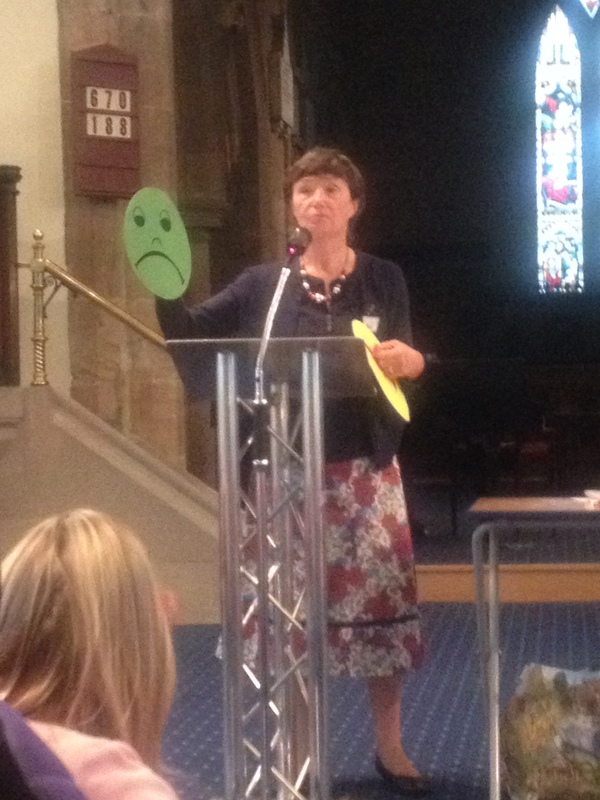 We want to see how we can encourage, support, share and build good inclusive ministries in the North West of England. I’ve been eager to tell you about our teaching programme this term as we are having fun learning about different characteristics of being a Christian through the life of Peter, Jesus’ friend. 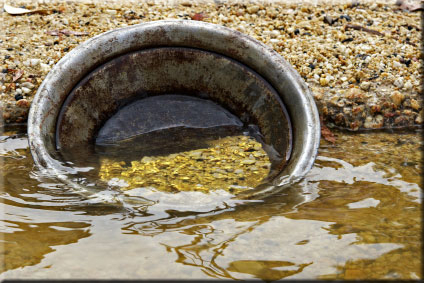 The first week we looked at ‘humility’ through the story of Jesus washing his disciples feet and examining Peter’s reaction. 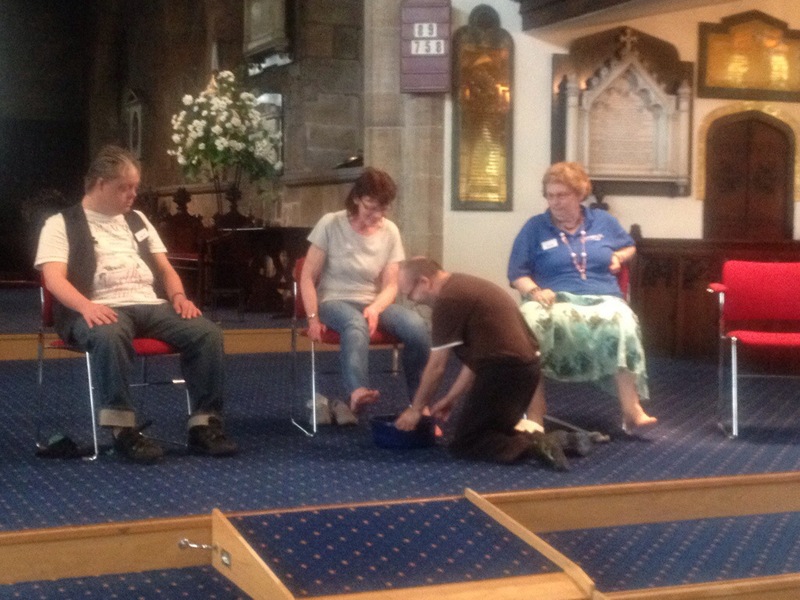 We had fun washing some feet and Bob asking us if we’d be humble enough to give someone our last Rolo! The next week Gill invited us all to be on Team Jesus (well it was the start of the world cup!) 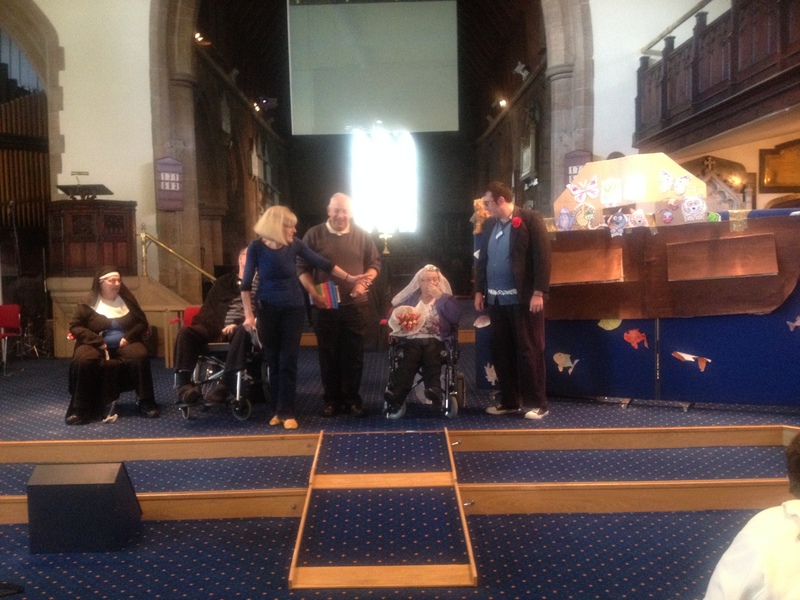 We listened to what loyalty meant as we dramatised Peter’s denial of Jesus. We learned about Jesus’ forgiveness and love when we let him down. This was through learning about how Peter was able to affirm his love for Jesus 3 times. This week Dave invited us to see how we can trust Jesus because he does what he promises. Peter found out that he could trust Jesus when he rose from the dead and saw him, spent time with him and ate with him. We know we can trust Jesus because he keeps his promises. Peter visited us with his friend Mary (puppets) to tell us the tale. We have put together a pray sheet of 7 prayers for our group – a prayer for every day of the week. 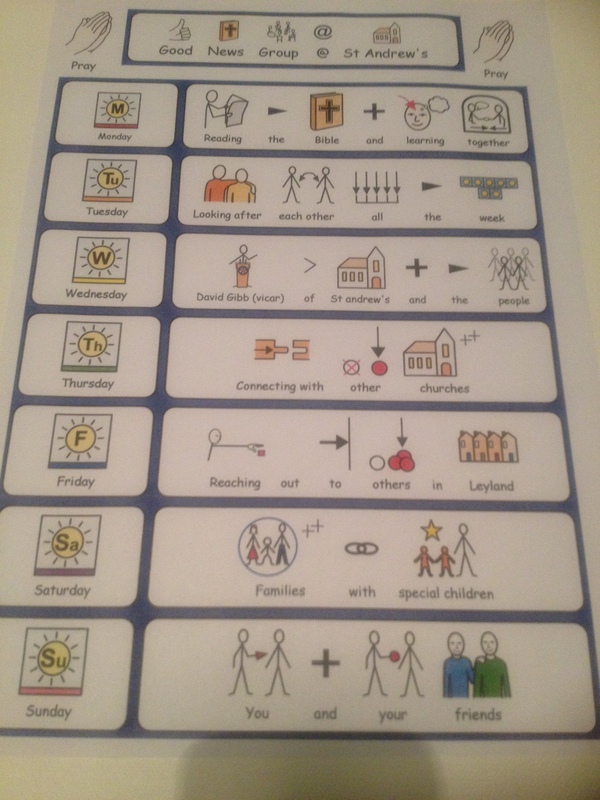 A simple and symbol supported sheet has been given to every one of our members and a copy emailed to L who is blind so she can ‘read’ it on her speaking computer. Prayer is central to all we do at the Good News Group and we encourage and practice prayer with our members every week. I LOVE the way more and more of them are contributing through vocalisations, amen’s, choosing symbols and speaking their own prayers. 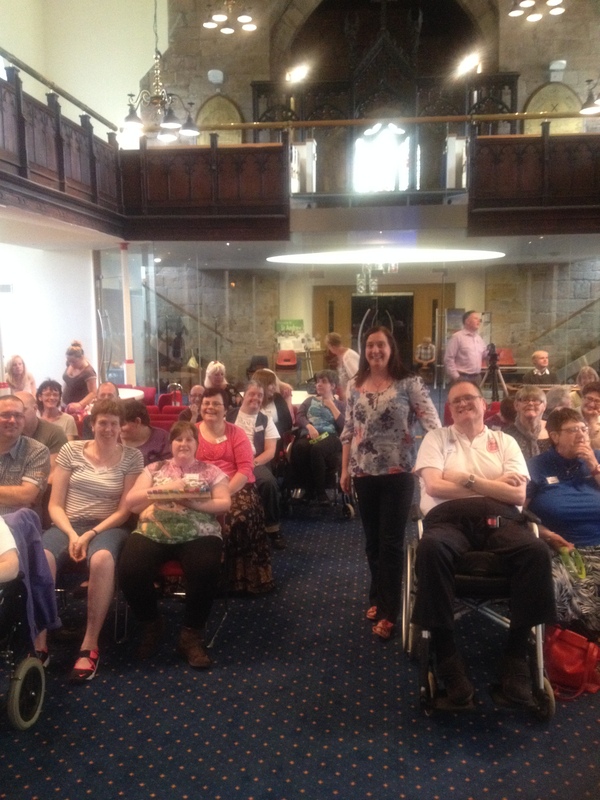 As a church group for Adults with Learning disabilities, the Good News Group includes a wide variety of members like any other church congregation. Some of our members come to us independently, some have lifts and others are totally reliant on the carers who are employed to look after them to bring them along. I have been looking around at the various Disability legislation, Human Rights Acts, reports, studies and recommendations about the right to have a spiritual life. There is very little explicitly said and it is an on-going search so I won’t be quoting legislation here, but it IS a right and a choice that all people with disabilities should have and those who look after them should give them choices to exercise that right. I am writing about this now because in the past we have had members of our group stop coming. 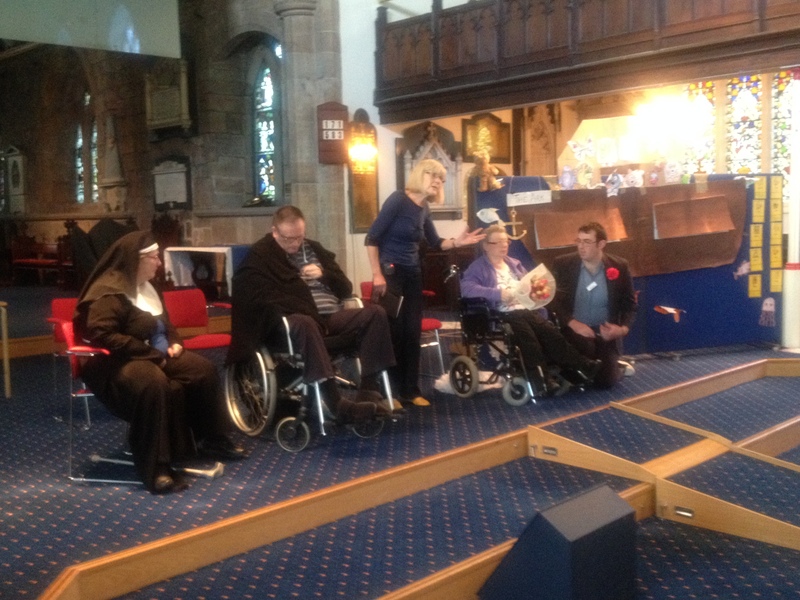 As we investigated we have got the impression that a change of carers seem to be a frequent factor in the decision not to come to church. Now, I cannot get solid evidence but maybe you who read this might have something to add. I just find it curious that a change of staff can suddenly see the person with disabilities changing their mind about wanting to come to church and have a spiritual life that is connected to learning about the Bible and faith in Jesus. 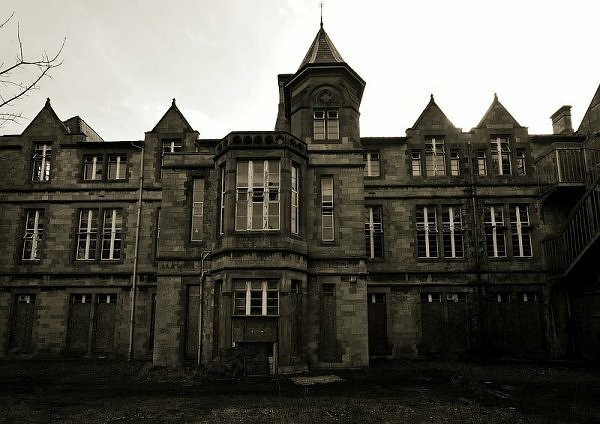 Purpose – National guidance in Scotland says that spirituality is part of healthcare. This paper aims to review some of the evidence that this is a relevant but neglected topic across the lifespan for people with a learning disability (PLD) and their families, rarely addressed by healthcare professionals. 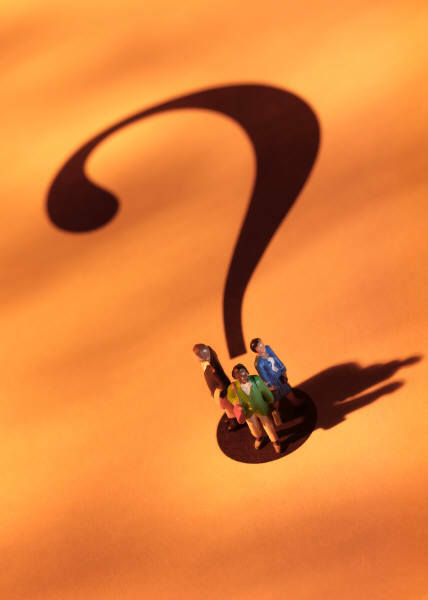 Findings – There was qualified support for the first and third questions and little awareness of any training for health staff on spiritual matters. I love the carers who do come to our meetings. They are focussed on the needs of the people they are caring for, and do recognise the right for them to have a spiritual life. They help them respond to our activities and some have been quite honest in the fact that they don’t share our beliefs, whilst others have responded to the gospel while they have been part of our group! As followers of Jesus we are charged to spread the gospel. I have been challenged for some time to look beyond the walls of the church and explore where Jesus might want us to go…reaching out to those who are not aware of the choice they have to have a spiritual life, to know Jesus and choose to follow him. It depends on people like us getting out there, communicating, going to the places where Jesus would send us. I am glad there are others with the same desire…and excited that many of them have disabilities themselves and want to share their faith with others, with anyone who will listen. I’m just not sure where to begin and how I’m going to get there…but I know God does! 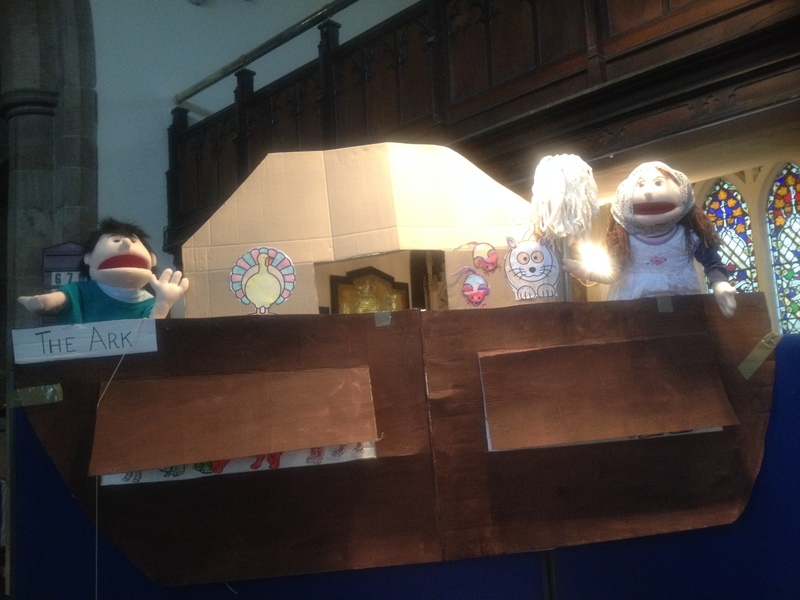 This is our puppet stage for our Noah series – thanks to Bob and Amanda for their creative work! At the Good News Group we want to help our members understand that the whole Bible leads us to Jesus and this term we have been studying Noah. 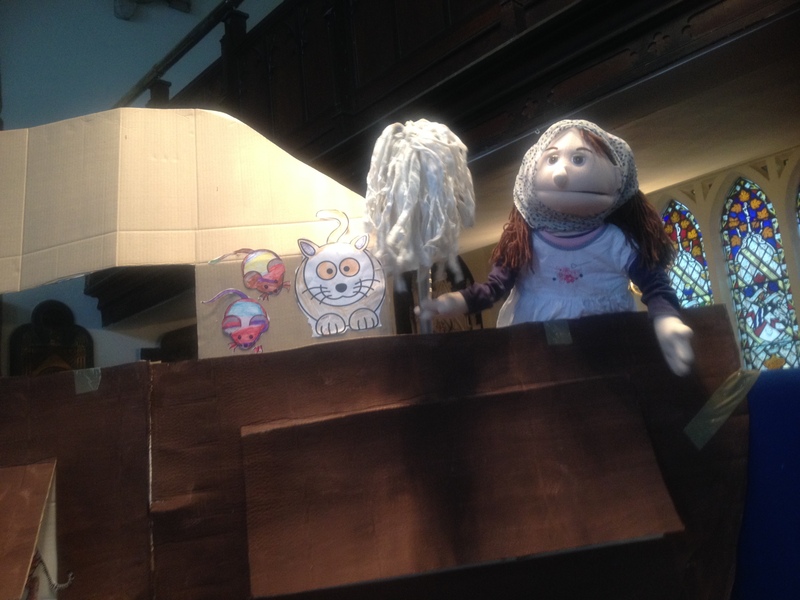 It being a short half term of 4 sessions the story of Noah just happens to take up 4 chapters of Genesis…so that was helpful – one chapter a week! We have been through the story and not shied away from the harsh facts of people’s SIN (ignoring God) caused God to want to destroy them. I think our group are getting used to the concept of SIN (and GRACE!) as we tell the gospel through all our teaching – not to make them feel dammed – but to explain that we cannot earn our approval from God…and that wonderful glorious gift of GRACE that came through Jesus. Just before Easter as our teaching on the Easter story came to a close we set up a way for our members to respond to the gospel. This is not easy when we don’t know what our members understand but we trust the Holy Spirit to do His work and want to give a clear opportunity for everyone to come forward and receive Jesus as their saviour. We use a set of dark and white cloths. 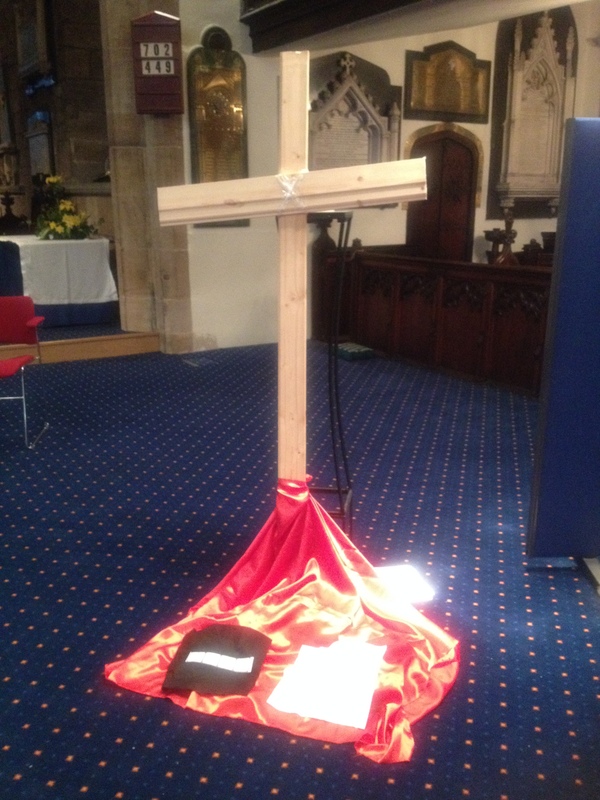 The dark cloth represents our living in darkness when our SIN means we ignore and say ‘no’ to God. 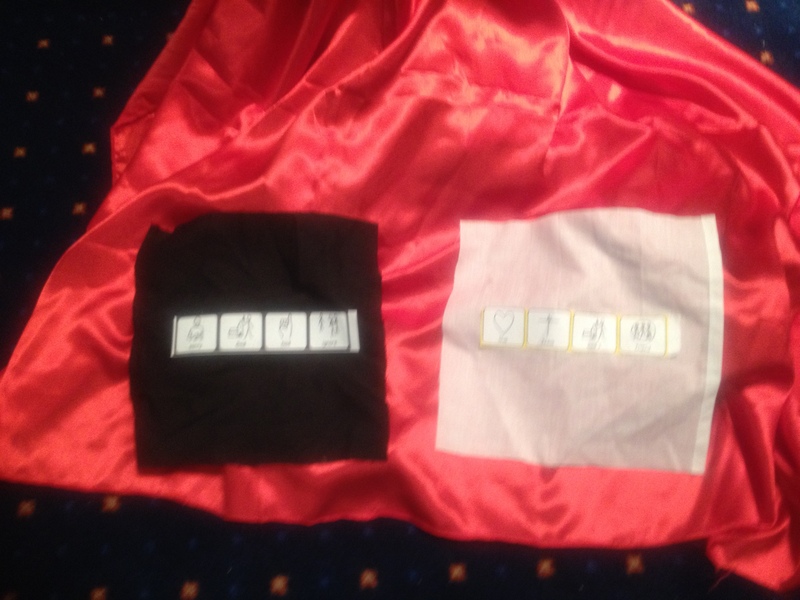 Each person is offered one of these (with added visual symbols to help them remember what it means) and then invited to come to the cross and exchange it for a white cloth which represents our SINS being forgiven and forgotten. We pray with our members in small groups or individually and always respect their choice of whether to respond or not. 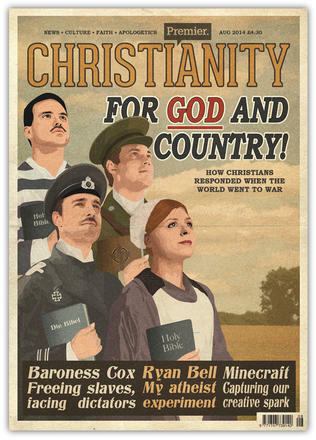 We tell them that a Christian is someone who has said ‘YES’ to God and believed in his son Jesus.